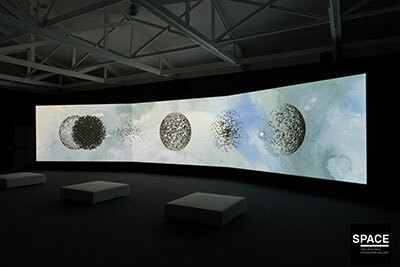 Shahzia Sikander, Parallax, 2013, 3-Channel HD Animation, Duration of 15min. 30sec., Copyright the artist, courtesy of the Linda Pace Foundation, photographer: Mark Menjivar. In her first video, Intimacy, Sikander recorded her step-by-step process for making a painting by building up a series of layers on paper, meticulously and slowly with water-based layers of pigment. 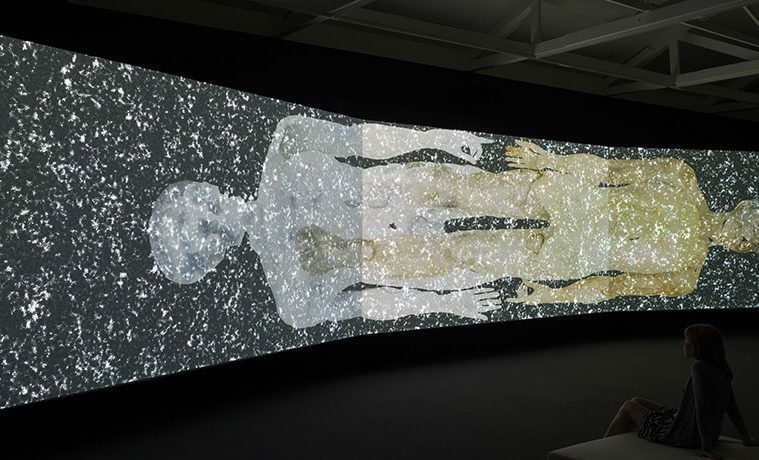 By showing her finished painting alongside the video, Sikander confronted the viewer with two mutually exclusive systems of representation—a static, detailed painting and a moving, time-shifting animation—that depict the same thing. The result is a parallax: two views of the same thing that are fundamentally incompatible. Sikander’s work in several other animations, including Nemesis (2003), Pursuit Curve (2004) and The Last Post (2010) have been inspired by this parallax gap. When Sikander began studying art in 1987 at the National College of Art in Lahore, Pakistan, she went against the grain of contemporary trends by studying Indo-Persian miniature painting with Bashir Ahmed. 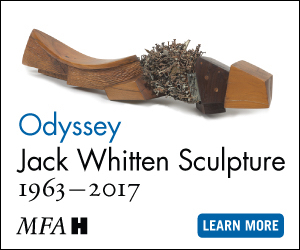 A recurring motif in her animations is the Gopi hair silhouette, emblematic of the female followers of the Hindu god Krishna. In Parallax, thousands of Gopi hair silhouettes behave like cells in a particle system, forming a black curtain that drops down to open the video and then morphing into spouts of oil, flocks of birds, masses of insects and singing, pulsing spheres. In a 1960s British Petroleum magazine, Sikander found an image of a multi-valve oil well called a Christmas tree. Parallax ends with multiple Christmas tree wells, made of valves and spools and festooned with red chains, which freeze until they crack and break into millions of pieces that are swept away into infinite digital space. Parallax shatters the illusion of the endless gift of oil.